Any day is a great day to plan an activity with your kids and the grandparents in your life. 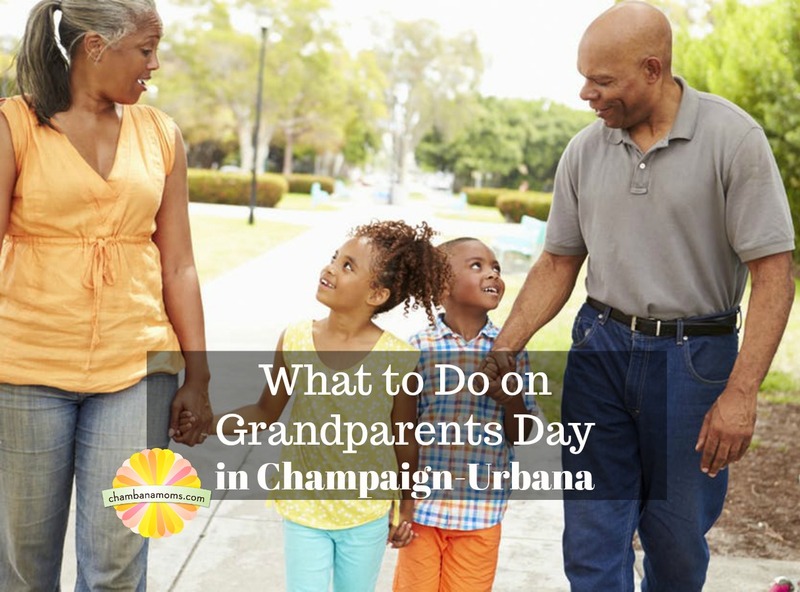 In celebration of Grandparents’ Day (always the second Sunday in September), there are some great FREE events happening in Champaign-Urbana and Beyond that you may want to pencil in! Come celebrate Grandparent’s Day with us! Drop in at the Homer Lake Natural Playscape to enjoy the outdoors. This program encourages grandparents and grandchildren to engage in nature-related activities together. Grandparents and grandchildren, come to the library and make a craft together, have a snack, and enjoy yourselves. All are welcome. Enjoy the afternoon with your grandma, grandpa, or another special person. We’ll have Bingo, crafts, games, and snacks. Presented in conjunction with the Champaign Park District. If these events don’t fit in your family’s schedule, we have ten more ideas you can peruse. Whether it’s a visit to Curtis Orchard (a favorite with our kids’ grandmother!) or a drive down to Amish Country (maybe to the Broom Corn Festival happening this weekend), there is something for everyone. Bottom line? If there are grandparent figures in your family’s life, find a way to spend some time with them in these coming weeks and tell them how much you appreciate them!